Experience the horrors of Hell in first-person in the survival horror world of Agony. The player begins their journey through the tormented land as a soul damned to the depths, with no memory of who they were of why they are there. Armed with the ability to possess people and lesser demons along the way, the player must learn how to survive their extreme conditions. By exploring the hostile environment and interacting with other damned souls in the hellscape, the player will learn of the only way to escape Hell, and how they must meet with the mysterious Red Goddess in order to accomplish the feat. That planned patch from the devs to offer the full Adults Only Agony experience has been canceled at the last minute. Read on for the full details. Learning proper possession is definitely agony, but with this guide, you can overcome the controller-throwing rage and take over martyrs like a pro! Get ready to scream as tentacles, cleavers, and even the flames of hell are coming for you with a horde of frightfully awesome games in 2018! The AAA entries were finally worth playing this year, and the indie developers absolutely killed it as well with a slew of horror hits! 2017 will be a great year for horror games. But what are some of the most exciting ones to look forward to? Halloween might be over, but more than a few frights still await as we near a slew of quality horror games in 2017! 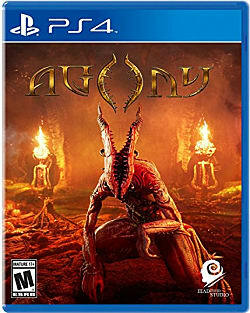 Madmind Studio recently announced their first project, a first-person survival horror game set in hell called Agony.